If you are planning on transporting your vehicle for weather related reasons, Direct Connect Auto Transport will help to make your move hassle-free. Many people will seek out the beautiful Southern weather to travel to when the Northern winter weather is severe. Whether you want to move for Spring, Summer, Winter or Fall - Direct Connect Auto will help you to get there with ease. A great reason to relocate your vehicle during a weather related event would be if you have a valuable or collector vehicle. If you have an expensive boat, a classic car or a sports car, you would want to keep your investment safe. You should not leave your vehicles in a place that is susceptible to harsh weather. If you know that one season for your state is particularly bad, you may want to prepare ahead of time to have your vehicle shipped to a safer location. Depending on different times of the year and dangerous weather conditions, you shipping rates will fluctuate. Shipping right before major weather events can affect the price of your vehicle shipping. Depending on the season, vehicle shipping rates may be affected. If there is increased traffic or more accidents due to the dangerous weather, the rates may go up. Whether you are leaving to avoid snowstorms, extreme heat, hurricanes season or tornado season - trust Direct Connect Auto to get your vehicle safely to its new location. 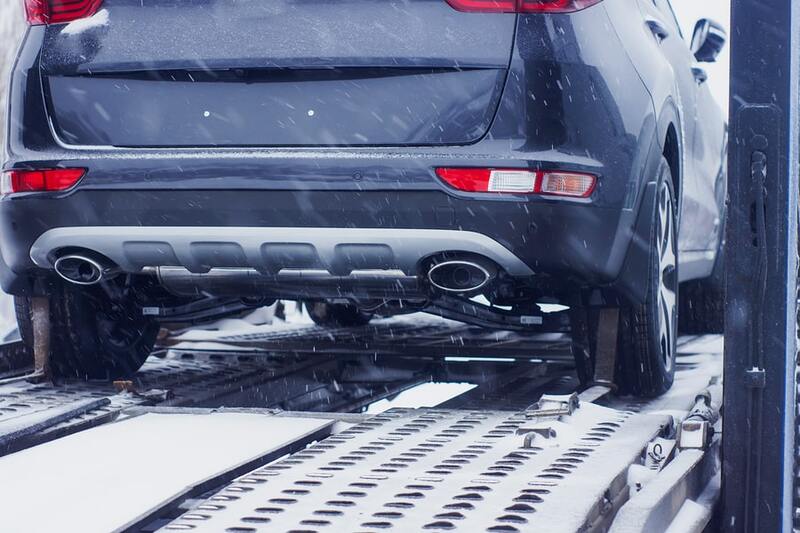 Deciding to use open or closed shipping on your vehicle can also be determined by the weather conditions. For example, if the weather is okay, you can rely on open shipping to safely ship your vehicle. Open car shipping is cheaper than closed car shipping because there are many other cars loaded onto the truck. However, if it is snowing, you may want to consider closed shipping to shield your car from the elements and corrosion. If you are in Florida, you may be relocating during the harsh summer weather to the North. In order to avoid damage to you vehicle from dangerous storms in the summer like hurricanes, you can ship your vehicle in advance to the Northern states for protection. You may also want to relocate from the Northern states in the harsh winter months to the beautiful sunny weather in the South. You may not want your vehicle to be damaged from snowstorms and snowmelt, so shipping your vehicle South is a great option. Prices will fluctuate depending on where you are shipping. For example, if you are shipping to a major city like New York City, this popular transport will cost less. Since so many people ship their car to and from these areas, the price will be much lower than if you are shipping to a remote area. Location is a major factor that will determine the price of your car shipping rate. If you are shipping your car from Connecticut to Florida, a popular route is I-95. Since many cars are being purchased online, it has become more common to ship from Connecticut to Florida, whether its a classic car, a truck or an SUV. You may be retired, and looking to permanently get away from the cold winter weather, or just move South for a few months. When relocating to a new home or retirement community, you can ship your vehicle south to experience the beautiful, warm weather. Relocating to Florida for retirement is a ideal location since there is so much to do. It is a popular thing to do amongst retirees, and includes everything from golfing and shopping to nightlife and picturesque views of the water. Whether you are looking to relocate from North to South or South to North, Direct Connect Auto will help you with your move. We understand weather conditions may make people want to move - whether it is temporary or permanent. If there is a dangerous upcoming weather season, we would need notice ahead of time in order to ship your vehicle. We can guarantee you a damage-free delivery to your new, ideal location.